CoLab Radio » Blog Archive » Oslo: A World City, Soon? According to the “Quality of Life Survey 2014” conducted by the international magazine Monocle, Oslo ranked 24th in a list of the 25 most liveable cities in the world. For many planners these surveys aren’t particularly relevant but the ranking definitely puts Oslo in the urban spotlight. The Opera House, Oslo-Norway. Photo Credit: Jøran Østom via flickr. Though located in a country that tops global happiness, prosperity, and development indexes year after year, as far as urban planning goes, Oslo has not attracted much attention over the past decades. Compared to Copenhagen and Stockholm, regional competitors, Oslo devotes significantly fewer resources to international profiling. Despite the prosperous petroleum and gas industry that constitute the major sources of Norway’s income it holds a weak position internationally as a location option for corporations. Nevertheless, the capital has always enjoyed the unique advantage of being a sustainable northern European city, sandwiched between fjords in the south and lake forests in the north, with residential areas stretched out in ‘the Westside’ and ‘the Eastside’. The rivalry among the three Scandinavian capitals- Oslo, Copenhagen, and Stokholm- is alive and well. Some might ask what Oslo offers in comparison to Copenhagen’s excellent bike infrastructure, or Stockholm’s architectural brilliance? One answer, is Fjord City. Known as Fjordbyen to the natives, this urban renewal project on the waterfront of Oslo is a historic opportunity to shape the capital’s future domestically and internationally. 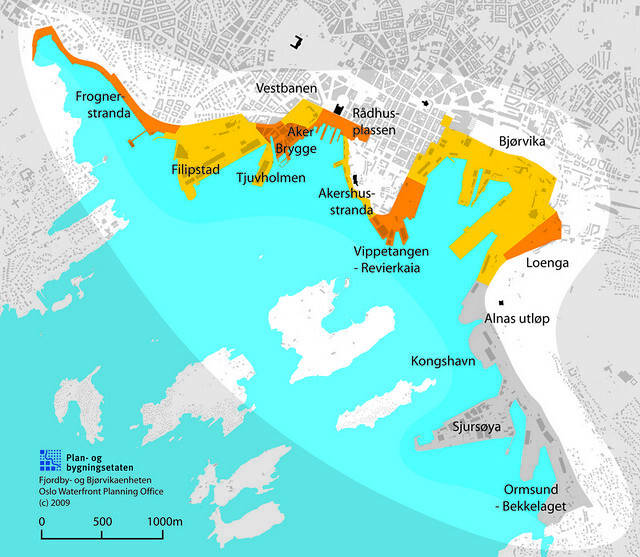 The Municipal Master Plan for reclaiming waterfront areas in Oslo was envisioned in the early 1980s, with a strategy plan approved in 2000 and the master plan finally implemented in 2008. The Fjord City plan was proposed by the City Government and adopted by the City Council. 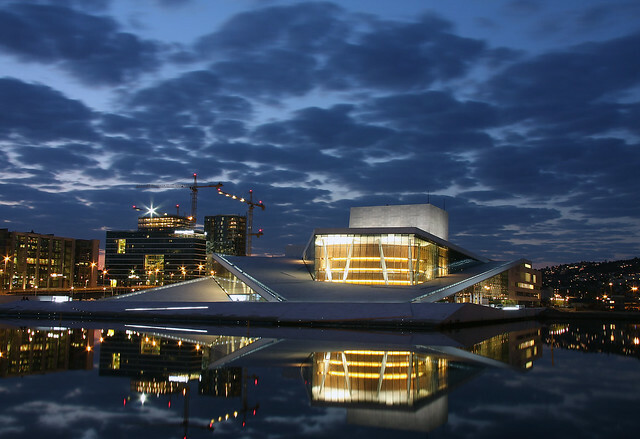 The final decision was spearheaded by the completion of the national Opera House in Bjørvika, one of the major central quarters undergoing development, the same year. Overview of Fjord City: the strategy and plan includes urban renewal of waterfront properties in the heart of the city, in order to create better connections between the city and the fjord. Photo Credit: Oslo Agency for Planning and Building. Fjord City, divided into 11 areas that span 2261 acres, is now well underway. Walking along the areas where the renewal plans are in effect, the newly erected high-rise glass façades and iconic buildings evidence a city in transition. When completed in 2030, Fjord City will hold new mixed-used spaces including housing, public areas, and offices that are oriented towards the fjord of Oslo, integrating the string of waterfront areas as an extension of the capital city centre. While the 2030 vision is promising, Fjord City has spurred intense domestic debate in recent years. Controversy over particular areas – including Tjuvholmen, a residential area now known for luxury apartments, new corporate buildings and Renzo Piano’s design for the Astrup Fearnley Museum of Modern Art – is rampant. These controversies have revealed some deep political issues yet to be addressed by the City Government. One of the major issues many critics have raised is the lack of transparency, and the direction the city is taking in favouring haute estates. The land reclamation and urban design completed thus far, have allowed developers to build projects that benefit private interests, rather than the public. Fjord City is full of promises for a better Oslo, but as the master plan is approaching 2030, citizens need to ask themselves: who can afford to live in these new areas? What will the public spaces be like? What will happen to the other city quarters? Astrup Fearnley Museum / IV. Photo Credit: George Rex via flickr. These are many of the same issues being raised by urban development projects worldwide. Oslo is on the verge of becoming a capital that will change drastically over the next two decades. These changes will have implications for Norway as a whole as Oslo will become the only major urban region in the country. This offers an opportunity to engage important questions: who will be living in Oslo in 2030? 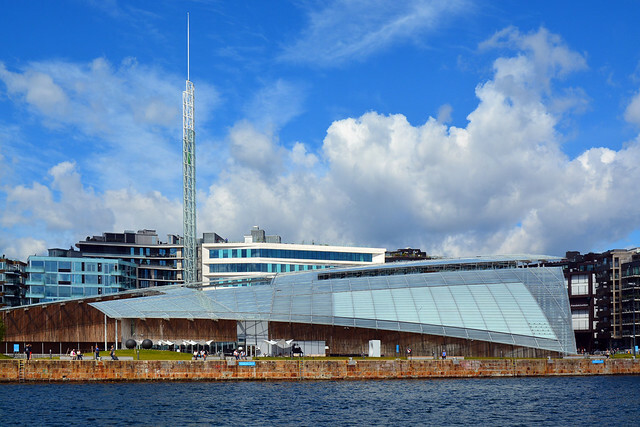 What welfare needs and frameworks will Oslo have in 2030? What will the environment and sustainability be like in Oslo in 2030? What will happen to the port operations? These are practical questions that Fjord City is faced with. But, cultural questions about the development of the architectural form, public space, and the relocation of museums, also present additional challenges that are equally pressing. Over the next two posts in this series I will consider the implications of the spatial outcomes being wrought by Fjord City. Oslo offers a unique geographic and political context for urban planning unlike that seen in many countries. But, in this seemingly democratic welfare state, not everything is as egalitarian as it seems.